So yesterday we went shopping, like I said. One of the stores Melinda wanted to go to was Habitat (big surprise, eh Brenda?). You may recall that this time of the year is one of the big sale seasons in France, too, so finding bargains at Habitat is like “winning” something on eBay. 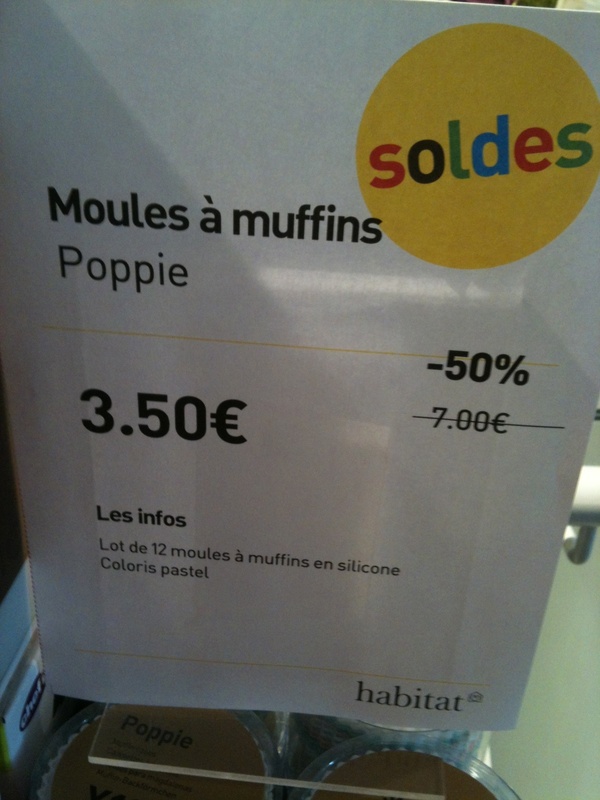 So anyway, while Melinda was busy trying to win something at Habitat, I discovered that Poppie was on sale. 50% off!! I kid you not and have the photo to prove it.